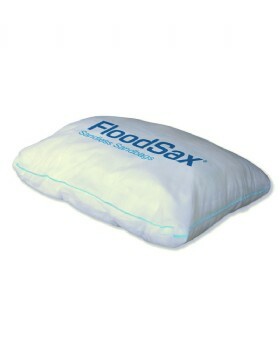 Floodsax the 'self inflating/ self filling' sandless sandbag! Just add water. FloodSax are compact and lightweight so can easily be stored and transported. They have a semi-porous inner liner which contains a gelling polymer that absorbs water to become expanded and firm in just over 3 minutes. Once the water is absorbed by the Floodsax they act just like sandbags to keep floods at bay - each weighing approx. 23kgs. Designed to mould into doorways to keep floodwater out. 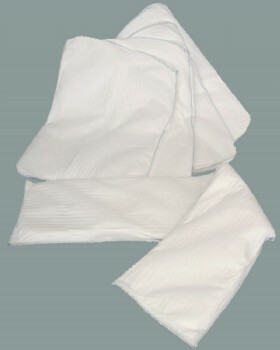 Additionally Floodsax can be used for spills from burst pipes, leaking washing machines etc. or soaking up sludgy floodwater after the unforunate event of a flood.